Rebecca Burns discusses Rage in the Gate City: The Story of the 1906 Atlanta Race Riot. ; Rebecca Burns discusses Burial for a King: Martin Luther King Jr.’s Funeral and the Week that Transformed Atlanta and Rocked the Nation. ; Amanda Gable discusses The Confederate General Rides North. ; Shelia P. Moses discusses The Legend of Buddy Bush. ; Shelia P. Moses discusses I, Dred Scott. ; Patricia Sprinkle discusses A Mystery Bred in Buckhead. ; Patricia Sprinkle discusses Friday’s Daughter. 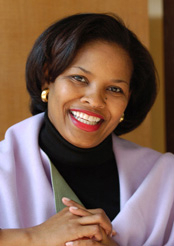 Shelia P. Moses is currently considered a "single author." If one or more works are by a distinct, homonymous authors, go ahead and split the author. Shelia P. Moses is composed of 1 name.